Memsys is a technology company based in Germany and Singapore, providing highly effective thermal process modules for different applications of thermal separation. 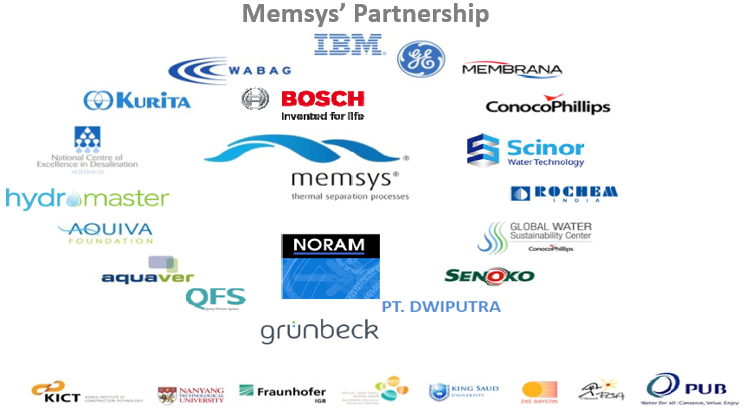 Memsys currently has successfully delivered a number of engineering projects in Europe, Asia and the Americas. Its business areas include desalination, petrochemicals, coal chemicals, food processing and industrial water reuse.